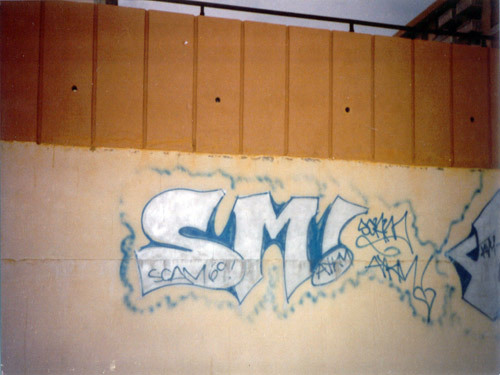 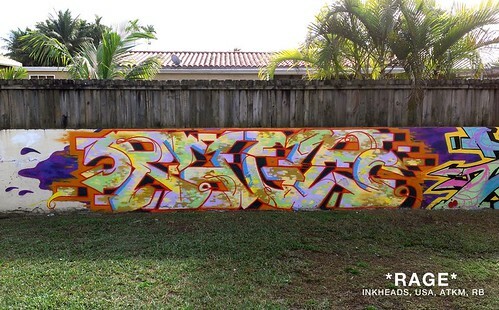 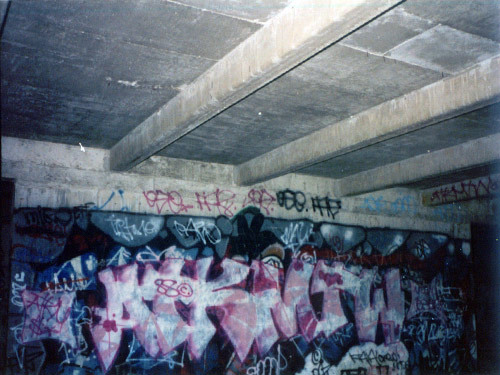 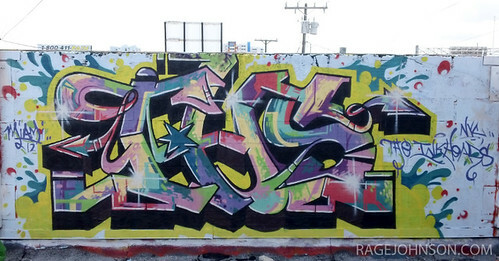 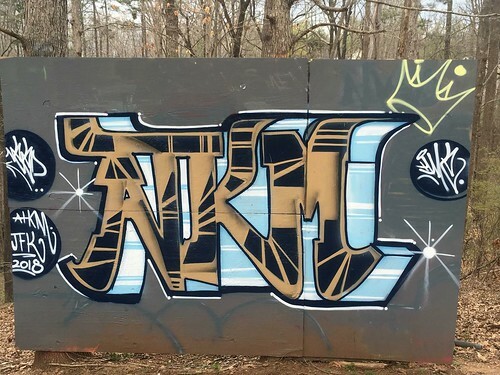 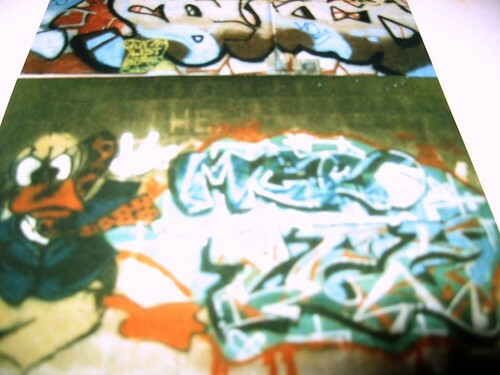 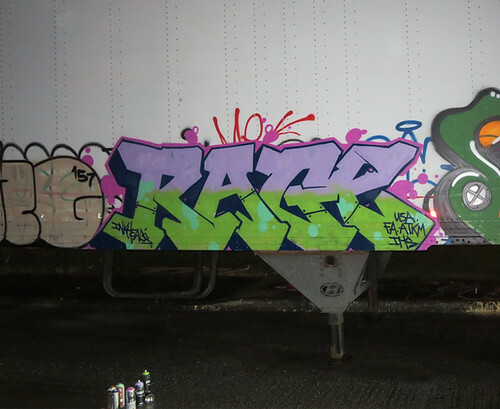 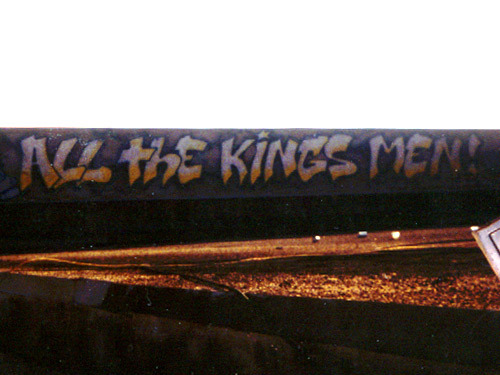 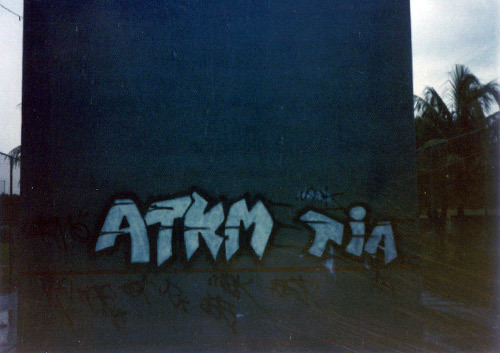 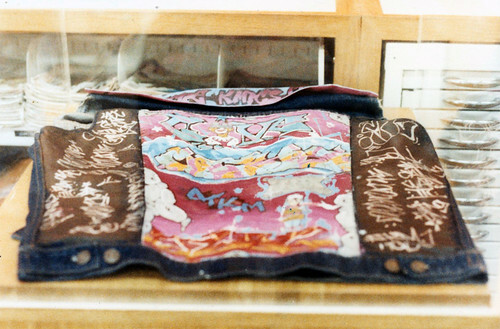 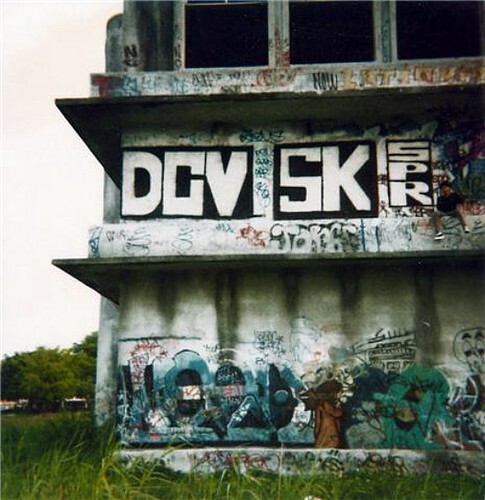 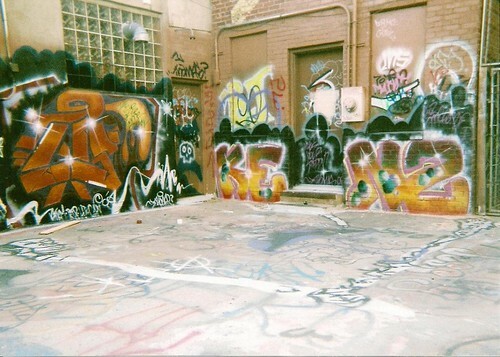 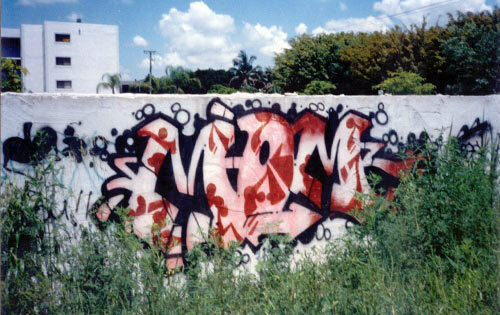 found 55 flicks for "ATKM"
Writer: Top: Deceve Skee Spree Bottom: Need Deed (Unfinished) Crew: WBB VO5 ATKM Location: Airport Penit Date: Top: 1989 Bottom: 1986 Submitter: Gooch Story from Need: The bottom is an unfinished Need, the B-Boy character was done by "Deed" and he started an outline. 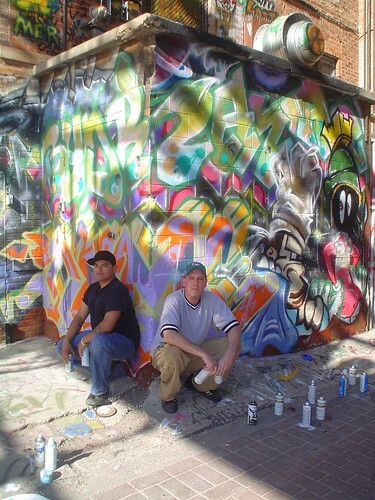 As you can see we never finished. 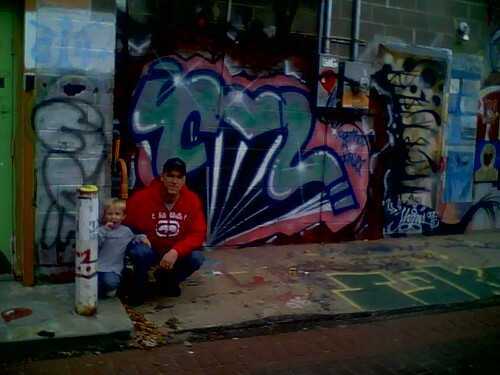 Someone showed up and we had to bail. 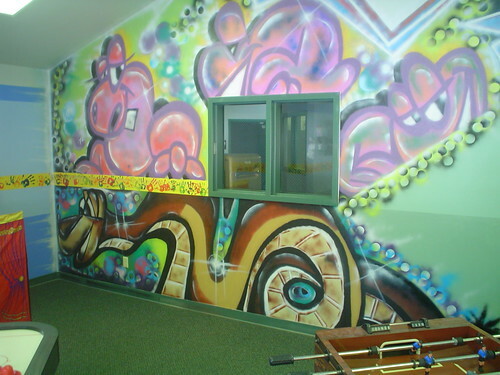 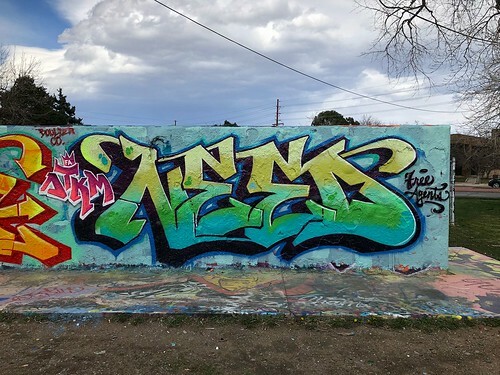 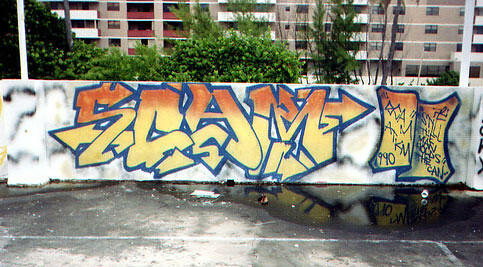 Writer: Crime Watch by Icey Scam Vote Need Solo Crew: ATKM CAN AIM Location: Ponce De Leon Middle School Date: 1987 Submitter: Demo Story from Solo: Vote and Need got caught bombing the school, so as punishment they had us do this piece. 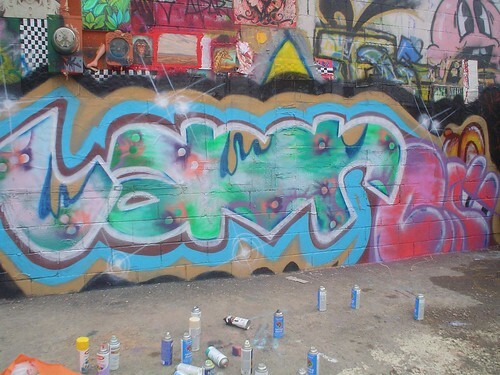 This was before we had static with Scam and Icey.